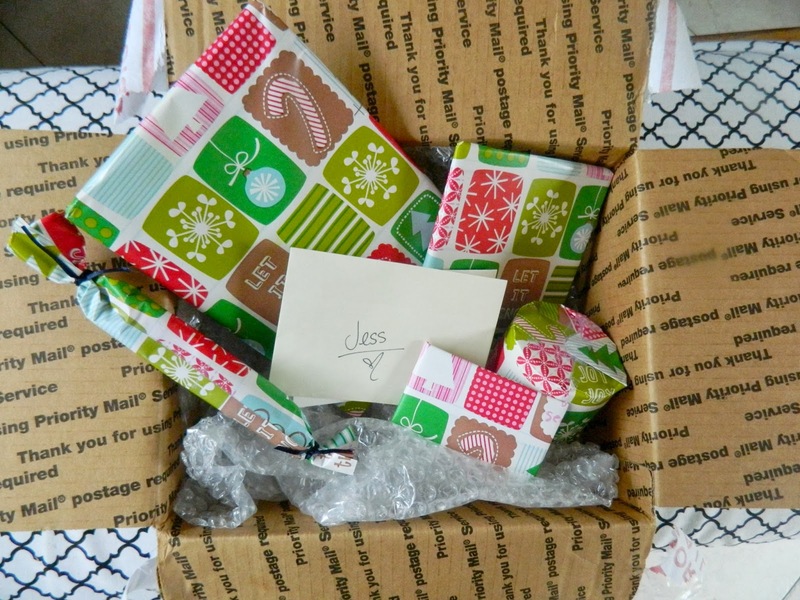 I'm so excited to FINALLY be sharing the wonderful gifts I received from The Great Christmas Exchange! I've said this over and over and over again, but one of my favorite things about having a blog is making friends with bloggers from other parts of the world. What's better than making new friends? Gifting sweet gifts and being gifted sweet gifts from said friends! 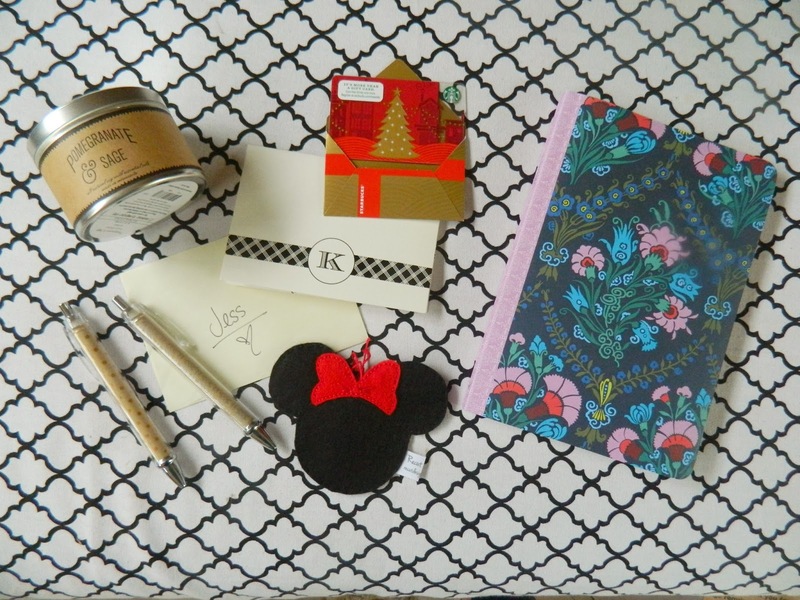 Secret Santa blogger style is officially my new favorite form of Secret Santa!! Katy from Change Is My Only Constant seriously did her homework when it came to my gifts! I'm not sure if we were supposed to wait till Christmas to open everything, but I have the patience of a five year old so the minute I got it I just couldn't control myself! Everything she picked was so thoughtful, and so ME. Pomegranate and sage candle! Um, YUM!! A Starbucks gift card, and a beautiful journal and equally beautiful pens to match. 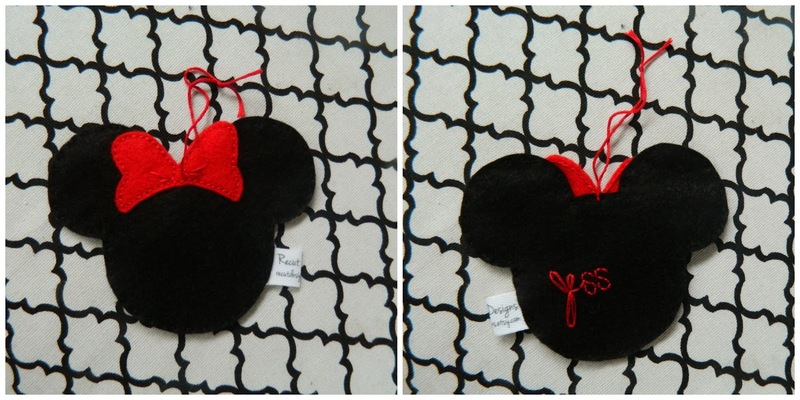 Oh, that cute Minnie Mouse ornament? She made that! It fit perfectly on our Disney themed tree and I've decided to keep this one out year round because I just love it too much!! Post office drama time...I had originally sent my gift off on the date they were supposed to be sent out, fast forward a few days later, I get a call that my package is back at the post office and that I had to go change something on the shipping label. SO, I go do that, and then they tell me they can't ship my box and that I have to buy one of theirs. I reluctantly handed them my $12 and took everything out of my pretty box. It's January now and my package still hasn't reached it's destination. Why oh why post office?? Hopefully I get that figured out by tomorrow. But for now, I'll show you what I sent because I've asked Natalie, aka the girl I ever so kindly stalked, not to look on here till then! Shopping for Natalie was so fun! She's a coffee loving girly girl, so it almost felt like I was shopping for myself. Note: I didn't buy myself anything in the process of gift buying *pats self on the back. 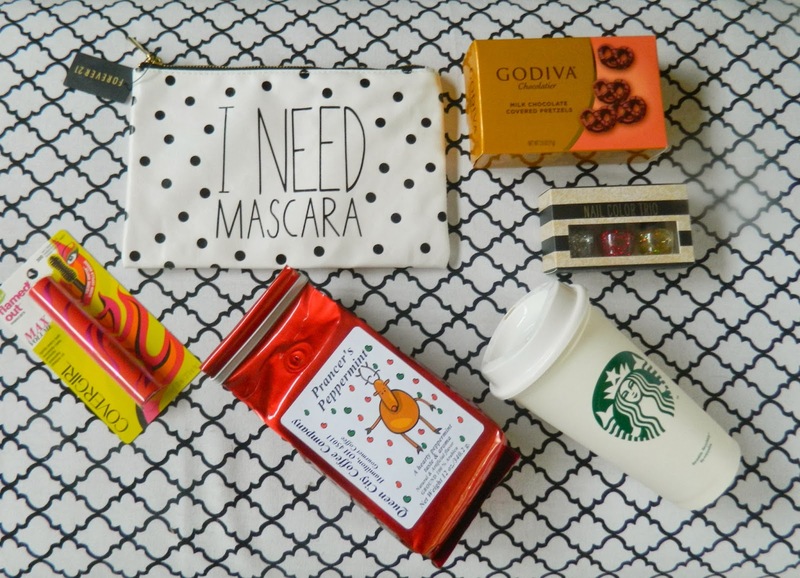 For Natalie I chose a cute makeup bag from Forever 21, some mascara & a nail polish trio, a Starbucks cup and some holiday coffee, and chocolate covered pretzels! The combination of holiday giving and meeting new bloggers has made me realize the joy of sending and receiving things via snail mail. I'd like to make it more of a regular thing if possible! So much so, that if you'd like a note of encouragement, or even just a hello via snail mail, leave me your address here, I would love to send you a little something! Thank you so much to Samantha and Elizabeth for organizing this. 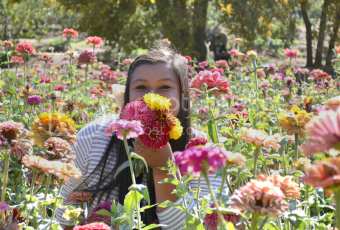 I am really looking forward to the 2014 exchange! I'm so glad you loved it all! And I'm happy I can now publicly stalk your beach walk and Disney pictures!! And I love you're online address book :). Snail mail is the way to go. thanks for joining in on the exchange! you are wonderful! Omgosh! Those are the best gifts! I'm so glad you participated! Sad post office drama.